Let’s face it you’re heading off to college in order to get yourself a great job somewhere along the line. You’re obviously interested in the course you’re about to study but you’ve got one eye on the future. With that in mind, have you fully considered your options? Tech jobs for college students are really varied so let’s take a look at the sort of work you could be doing when you pass your course. This is a varied field so it’s no wonder that the sites like theguardian.com routinely advertise hundreds of jobs under this umbrella term. Technology jobs can lead to a career in lots of business types from retail to the financial sector, and the term is attached to jobs as different as software and IT to digital and social media. If you have people skills, why not look for a technology graduate scheme with a major retailer like John Lewis. If you’re more interested in the technical side of things, you might want to consider a career as a web designer or front-end developer. 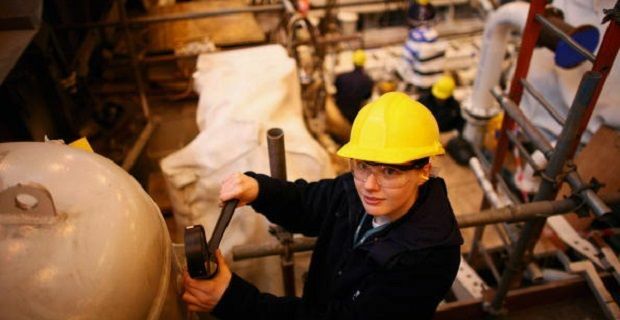 Graduate careers with the country’s biggest engineering firms are beginning to open up. With working picking up for civil engineers and electrical engineers, firms like WSP, Atkins and Balfour Beatty are building their numbers back up by bring in fresh blood. You’ll find that a lot of the theory you’re studying is overshadowed by the realities that engineers face day to day. As engineering firms like to teach you their way of doing things, you’ll have no trouble adapting to this culture. Sites like targetjobs.co.uk and nce.co.uk are the best places to look for this type of tech job. Don’t shy away from general recruitment sites when you’re searching for graduate and apprentice technology jobs as jobsite.co.uk, monster.com and indeed.co.uk often list technology jobs that will make all the house you spend studying worthwhile.